Most of us often hold off revamping our bathrooms fearing that it would cost us the earth. There are many things to consider in improving the look and functionality of your bathroom, making it more difficult to keep yourself within the budget. Of course we want our bathroom to look bigger, brighter, and cleaner. They say that it’s the most expensive area of the house to renovate because you get touch on about every trade. But it is certain that it will add value to your property whether it’s your own or an investment property. But the question is how much would it cost you to renovate a bathroom? 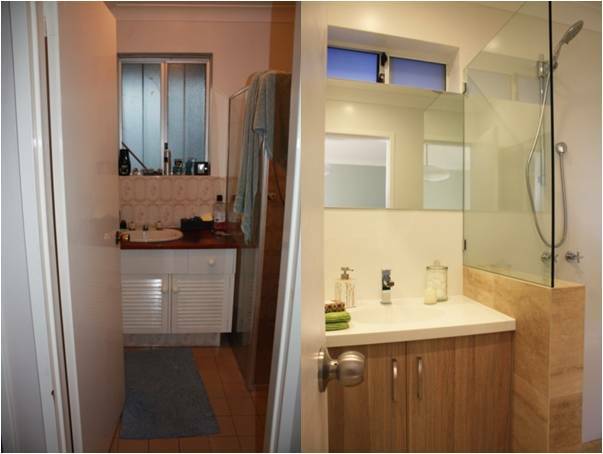 According to an HIA survey, the average cost for a bathroom renovation in Australia is $10,000 - $20,000 while others have done a simple renovation in under $5000. But before I talk numbers, let me help you decide where you can cut back and splurge on your renovation process. Before you start contacting tilers, the first thing you need to do is find the tiles you want and then get quotes from tilers because their quotes will depend on what type of tiles they’re going to lay. Vinyl tile is the easiest to lay and cheaper while the ceramic tiling costs about $80 per square meter. However, ceramic tiles come in variety of colours and styles plus it’s durable and easy to clean. In order to achieve a full-bathroom renovation look, you should replace your toilet and taps. It’s important to make sure that your toilet, basins, taps, and showers are installed by licensed professional plumbers in Sydney. The amount that will cost you to install those fixtures would be between $300 – $500 depending on the brand and model. Consider replacing your toilet or basin cabinet if you need to, but don’t move them to at least cut down the cost. A flat wall mirror is more affordable and the installation is also minimal so you might want to choose that over the mirror cabinet. A semi-frameless shower screen is better because they’re more durable and won’t chip on the corners compared to the frameless ones. Also, the price difference is not too big. Fixtures and fittings would actually make or break your budget. This means you have to spend more on quality to avoid having falling shower head and dripping tap in the future. For safety reasons, a proper bathroom lighting, switches and exhaust fans should be handled by an electrician.If you are looking for budget lighting, standard LED oyster light would only cost you $50-$100 and it’s extremely energy efficient. For all-in-one solution for lighting, heating and exhaust functions, IXL 3in1 light/heater/fan fitting in Bunnings would be a good choice. You might not be able to do everything at once, so take your time in choosing the best brands, style and materials. Do not try to do it yourself to avoid extra work in the long run. Seek help from licensed traders especially for plumbing and electricals and make sure to organize them in the correct order. The only thing you can probably attempt doing yourself would be removing and installing simple fixtures.Make a list of the things that will work on your bathroom before you go shopping. And lastly, expect that there will be delays and disasters along the way so make sure to coordinate with your tradies very well because misunderstandings cost money. Therefore, do you best and plan ahead. Author: Twinkle Serrano-Dela Pena is a Marketing Strategist from Australia who loves exploring home improvement and residential and commercial plumbing solutions. She is currently collaborating with plumbing services Sydney.